On September 12th during his first stint as DNA guest host, Joe Patrick (shown at left) opened the show and addressed his engineer on the air asking, "is my microphone loud enough? After-all, the truth should be loud and in your face, don't you think?" Patrick, a self-proclaimed truther and member of 9-11 Truth, returns for "Two Hours of the Truth." Joe believes he's been anointed to deliver an important message. "In the past 2 years a lot of my so-called friends have abandoned me. I have very few left, but that's fine. I know what I've been called to do and I'll pay that price." "I won't be able to sleep," he says, "until every home in America knows what I know. Only then will we be free. I want all the sheeple to call in, whether you agree with me or not." Joe will have some clips ready to play, featuring well-known conservative radio talk show hosts in addition to some hard-hitting criticism of their opinions that he believes are the product of what he calls corporatocracy. 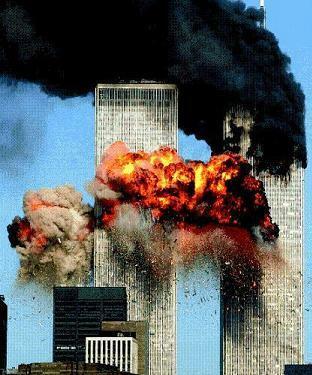 Do we really know the full truth about what happened on 9/11, the devastating attacks that occurred eight years ago today? Based on my research and assessment of the inquiries that followed that horrific event, I don’t think anyone can claim to know the full truth. But that hasn’t stopped conservatives and know-it-all pundits from demonizing and belittling skeptics of the official 9/11 theory in an aggressive fashion in recent weeks. The most disturbing example was the truly scary right-wing propagandist Glenn Beck’s successful crusade against Van Jones, forcing his resignation from the Obama Administration mostly for having signed a letter calling for an investigation of whether the Bush Administration ignored warnings about the attacks and then used them to further their foreign policy goals. An Inside Job- Members of the 9/11 "Truth" movement are typically disparaged as crackpots. In fact, they're actually wonks. At first glance, the scene outside last week's 9/11 Film festival resembled that of any other big, protest-oriented event. 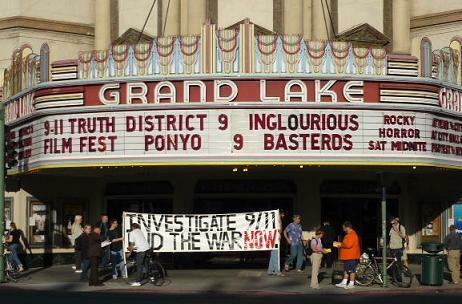 Truther organizations such as the Northern California 911 Truth Alliance and Project Censored crammed the lobby of Oakland's Grand Lake Theater, setting up tables with books; DVDs; "Wake Up and Smell the Fascism" bumper stickers; rubber stamps with the slogan "9/11 was an inside job;" pictures of Hendrix, John Lennon, and Mahatma Gandhi; and "Deception dollars." Middle-aged white guys with long hair and tie-dyed shirts milled around the room, greeting each other like old friends. It looked and felt like a typical crowd of rabble-rousers — at least until you listened in on their conversations. 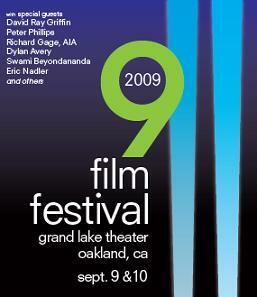 The fifth annual 9/11 film festival, sponsored by the Northern California 9/11 Truth Alliance, began last night at Oakland’s Grand Lake Theater. Oakland North spoke with three people about why they attended the festival, as well as with filmmaker Dylan Avery, who premiered his film Loose Change: An American Coup last night. Media Roots Article- Do We Know the Truth About 9/11? MEDIA ROOTS- The upcoming anniversary of September 11th brings little solace for the millions of citizens worldwide who have serious questions concerning the official account of what happened that day. Usually when there is a monumental failure in our government’s ability to protect our nation, a complete investigation immediately ensues. Yet in the case of the 9/11 tragedy, Bush opposed any probe into the attacks for well over a year until mounting pressure from the victim’s family members forced him to address the issue. Once the 9/11 Commission was finally formed, Philip Zelikow was put on as its executive director. Zelikow also penned the controversial Bush Doctrine, a policy which allowed preemptive invasion of any country in the world if potential for a future threat existed. Chairman of the commission, Thomas Keane, later charged in a book that the commission was “set up to fail.” Furthermore, Bush and Cheney refused to testify to the Commission separately and under oath. Crucial witness testimony and evidence was also deliberately withheld from most of the commission members. Richard Gage, AIA, the founder of Architects & Engineers for 911 Truth, made an historic speech before the Commonwealth Club in San Francisco on September 8, 2009. He received a standing ovation from an overcapacity crowd. You do not want to miss this one!! CS – I should point out that I voted for you, as your promises of hope and change, transparency and accountability, as well as putting government back into the hands of the American people, struck an emotional cord in me that I hadn’t felt in quite some time, perhaps ever. PBO – And I appreciate that, Charlie. Big fan of the show, by the way.